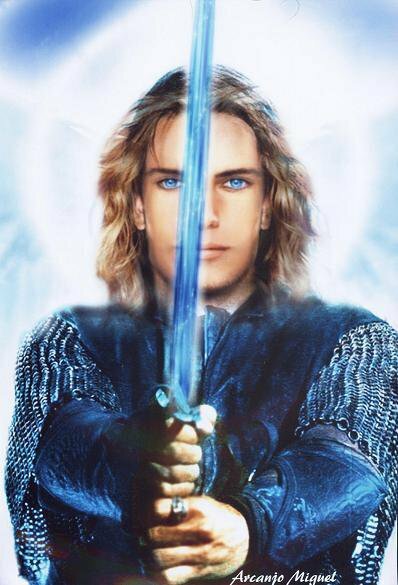 Greetings, I am Michael, Archangel of peace, warrior of peace, warrior of love, Archangel of love…we all are! And yes, Gabrielle and I, beloved siblings, in many ways like twins, come to greet you, embrace you, fortify you, and protect you this day, this moment and every day and every moment throughout eternity, throughout all time and space, but particularly now during this time of fulfillment. Let me be very clear with thee…fulfillment is not the receiving of unlimited currency and money. It is not financial gain. It is fulfillment of the Mother’s Plan, of you being the vehicle, the vessel of Her sacred blessings, of the Father’s Warehouse of Heaven, to create Nova Earth. Now, there has been ample talk, discussion, planning around the creation of Nova Earth. Decades ago, quite literally, Sanat Kumara has come and he has taught you how to create. That does not change. The Universal Laws do not change. Your mission and purpose do not change. It is infinite and eternal. Yes, from life to life there is slight variation, but the essence of who you are does not change. And why does it not change? Because it is brilliant. It is beautiful. It is a spark of light. It is the seed of love that has been implanted within you, in and out of form, throughout all time and space. But now you are in form and you are literally positioned…not getting into position, not getting ready…you are positioned not only to do my work of peace, Gabrielle’s work of joy, our joint mission of truth, the Mother’s essence of love, the Father’s essence of wisdom. You are positioned in physical reality upon this mighty planet, this Archangel Gianna, to bring forth the dream of the Mother, the wish of the Father. When we say to you “you are blessed and you are supplied,” we do not simply mean in an either/or reality. You have what you need. You have always had what you need. Now, you may or may not have realized that…that is almost inconsequential because now you know. As agent and angel of change and fulfillment you have what you need, because you are not needy but the fullness of yourself, patterned infinitely by the Mother, by the One. We always say to you “there is more,” and in this time and space that you are occupying there is most certainly, in every meaning of the word, more! The question isn’t what you will do with this. The question is doing it. It is not about acting hastily. It is not about running about. It is the quiet silence of integration. In many ways, just like me, it is moving behind the scenes…not hiding…there is no room or need, by the way, for hiding. Let me reassure each and every one of you upon this planet and far beyond, I am protecting you. So, do not hesitate to act, but act from the truth of who you are, act from what you know is your mission, unique and individual reflection of the Divine. It is not about scurrying about like a blind cockroach. It is about being the true angel, archangel, inter-galactic, interdimensional being that you are. And, yes, doing our Mother’s bidding, but in alignment, in perfect acceptance and action of who you are, about why you have chosen to come at this most difficult period and it’s most rewarding period. You are not about to engage in the “Golden Age,” beloved ones, family, friends. You are the “Golden Age!” You are the golden effervescence of joy. Stop denying it. Stop seeking it externally. It is interesting, is it not, that so often we witness and you witness human beings seeking love, externally, when, in fact, all the love is within thee and that every action, every thought, every feeling is in alignment with that love. And then you are like a golden magnet because you draw that to yourself. And yes, there are times when it means stepping forward, not just a step or two, but going leaps to allow the love to be seen. And at other times, it is standing perfectly still so that you don’t appear threatening in any way. Come to me. I am your safe spot. I am your sacred space. You know that is the truth of who you are. And it is not an either/or. It is not hiding behind closed doors and it is not standing in the middle of the public square. It is the softness and gentleness of yes, allowing yourself, at times, to be seen in the public square, but mostly meandering the golden streets and allowing yourself the quietude, the sanctity, the peace of your sacred space behind closed doors to refill, to renew, to give praise and adoration, to reconnect. Yes, to reconnect in the 13th Octave, because that is the home, that is the gift that has been given to allow ascension. It is ascension! So, embrace it with the deepest part and particle of your being, knowing that I am protecting you, I stand in front of you. I stand behind you. I stand next to you kindly loving you, but also defending you. That is my joy and my job so that you can do yours! And I am not the only one. You are surrounded by the legions of your guides, yes, but the legions of this Council and by my legions of blue. I am not asking you if you are ready. That question and query has come and gone. What I am telling you, what I am sharing from the depths of my being is that we are ready…and so are you. And we are in unity, we are in connectedness, we are together in grace, in the fulfillment of the promise.